The crystal ball displays events relevant to your life. Click START to activate the crystal ball. Crystal balls have been used to aid in the performance of clairvoyance since the middle ages. Clairvoyance, which means 'clear vision' in French, refers to the ability to get information about objects, persons or physical events through paranormal abilities. The transparent and refractive qualities of the crystal ball are believed by some people to aid in the performance of clairvoyance. In ancient Greece, an oracle was a priest or priestess that provided wise counsel and prophetic predictions. The Greeks sometimes used crystals and other stones as talismans. The Oracle of Delphi was the priestess at the Temple of Apollo on the slopes of Mount Parnassus. The prestigious oracle was mentioned in the writings of many classical Greeks such as Aristotle and Plato. Clairvoyance and other forms of anomalous cognition cannot be confirmed by scientific tests and are considered pseudosciences. 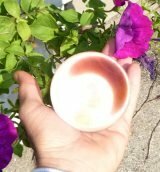 The art of "seeing" into the crystal ball, also known as "scrying", tries to identify factors that are important in life such as love, marriage, finances, travel and business. Some seers say that they do not see images in the crystal, but that the transparency helps them clear their mind of distractions to permit focusing on future events. This web page selects images and events from a database and projects them on a crystal ball with an interpretation that will make you think about your own future. Crystal balls can start fires by focusing the rays of the sun on combustible materials. In 2009, an apartment in Somerset, England was consumed by fire when a crystal ball ornament on a windowsill set the courtains ablaze. The fire caused over £10,000 of damage to the kitchen, living room and bathroom. In 2012, a less serious incident was reported in Wyoming where a round fishbowl concentrated the sun's rays and ignited the cellophane wrapping of a nearby candy box. You can also get burned by holding crystal balls in direct sunlight. 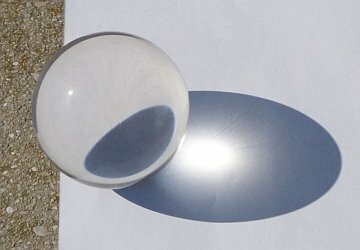 Don't place crystal balls in the sun! 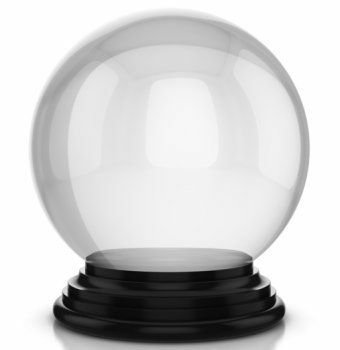 NOTE: The Crystal Ball Oracle is not to be confused with Oracle Corporation's Oracle Crystal Ball. The Oracle Corporation has marketed a relational database management system called Oracle Database since 1977. The Oracle Crystal Ball is a spreadsheet-based application suite for predictive modeling, forecasting, simulation, and optimization. Crystal Ball was originally introduced in 1986 by Decisioneering, Inc. In 2007, Decisioneering was acquired by Hyperion Solutions, which in turn was acquired by the Oracle Corporation.